Try spending at least a day in Lisbon before embarking on your individually selected Mediterranean Cruise. A city set on seven hills, Lisbon delights in providing tourist with its Art Nouveau cafes, set along cobble-stone pavements and narrow streets. The largest shopping mall on the Iberian Peninsula can be found at Centro Commercial Colombo. From Lisbon, your Mediterranean Cruise will sail around the southern tip of Portugal to the city of Cadiz, the oldest city in Europe, and home of the famous Spanish Flamenco, where heels stomp on wooden floors and the rhythm of castanets lighten up every tavern. Your Mediterranean Cruise next sails through the Straits of Gibraltar along the Costa del Sol and the Andalucía Coast of Spain to the vibrant cities of Malaga and Cartagena where the Moors left an architectural bounty. 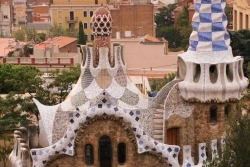 Then it is on to Barcelona, known as Spain’s most progressive city. 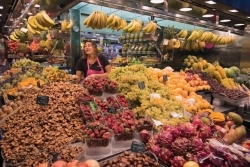 You must take the time to stroll along its famous Ramblas, a bustling pedestrian boulevard with hundreds of restaurants, cafes and shops from where you can indulge yourself at the cutting edge of European art, fashion and cuisine. From Barcelona, your Mediterranean Cruise can lead south to the islands of Palma de Mallorca or continue along the French Rivera coast to Cannes, the definitive Riviera resort of popular fantasy. You can stop in Monaco where you can stroll along its famous Avenue de Monte Carlo or roll the dice in one of the iconic gambling venues. Travel on to Portofino, known as the home to the rich and famous. Marvel at the postcard setting of its picturesque, half-moon shaped seaside village where pastel houses line the shore of the harbor. 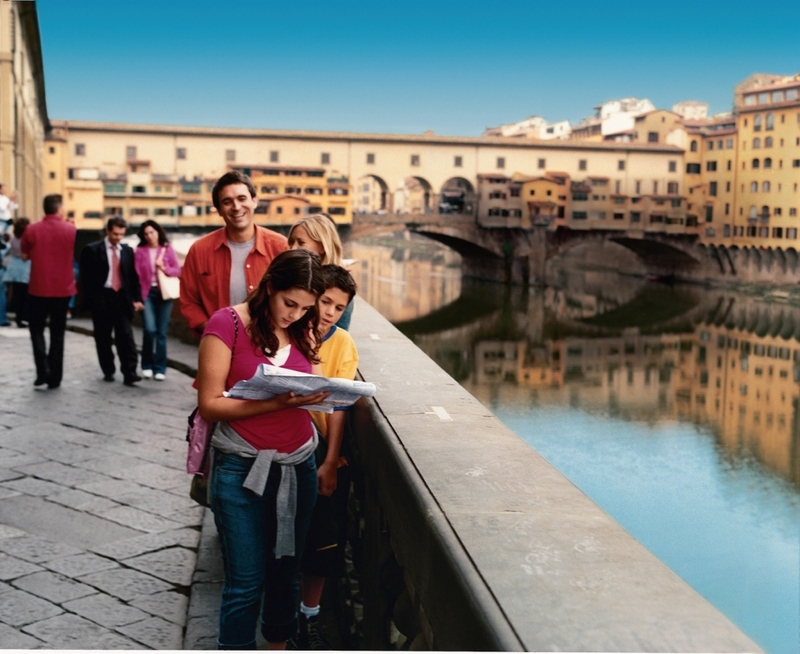 For the art enthusiasts, a port call in Florence, cradle of the Renaissance Movement, will leave you breathless as you view its museums, palaces, and churches, which house some of the most artistic treasures in the world. What better way to start or end a segment of a Mediterranean Cruise than a one or two day stop-over in the eternal city of Rome. Tour the Seven Hills of Rome, marvel at both the ancient city, harboring lost empires, and the modern chic scenic vistas as young people buzz around the Coliseum on their Vespa’s without references to any traffic codes. 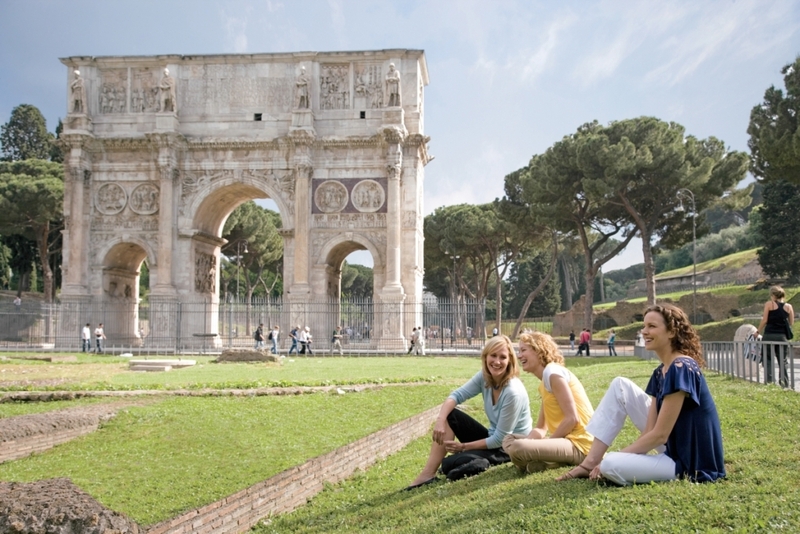 Visit the remains of the Imperial Forums, constructed as early as 42 BC. 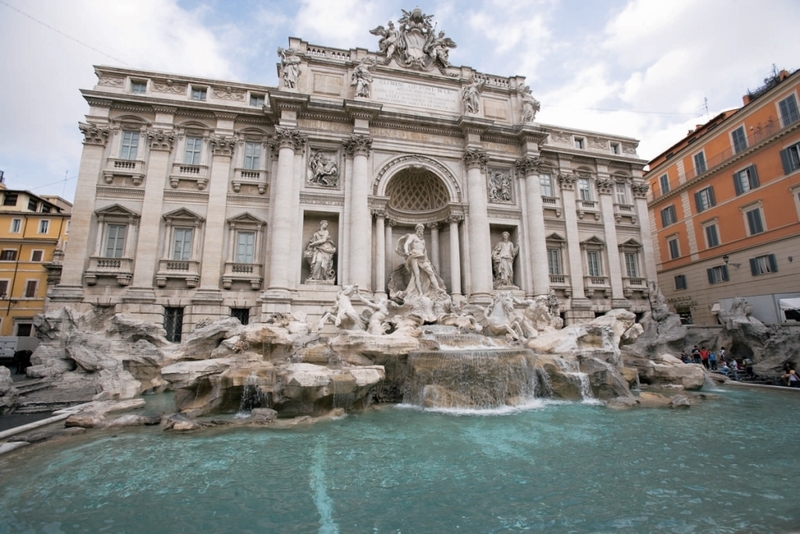 Take the Vatican’s museum walking tour and marvel at the works of Michelangelo. Another exciting Mediterranean Cruise segment embarks from Civitavecchia (Rome) to the harbor of Naples. Half day tours from Sorrento can take you on a historic tour of the ancient city of Pompeii sitting directly below the smoking peak of Mt. Vesuvius. Save time for a ferry ride to the Isle of Capri, the most famous of all of the Italian islands. Its enchanting scenery has made it one of the most popular destinations of the international jet-setters. Your Mediterranean Cruise now travels south through the Straits of Massena where you may see the smoke rise from Mt. Etna, then around the toe of Italy past the Almafi coast. Turning the heel of the boot, the cruise now sets a course north through the Adriatic Sea to Venice, one of the most fascinating cities in the world. Walk through St Mark’s Square, and visit the adjacent cathedral. Ride a gondola through the various canals, walk across the Bridge of Sighs, then visit a small glass factory. A vast variety of shops and gastronomical delights throughout the island await your every footstep. Departing Venice, your Mediterranean Cruise will set a course south down through the Adriatic Sea. Along the way you will pass by a coast full of ancient medieval towns with their multicolored homes sitting atop the sheer cliffs of the Croatian seaside. As you enter the port of Dubrovnik, guarded by an ancient fortress, you will immediately realize why this city is nicknamed, “Pearl of the Adriatic,” and considered by many as one of the most beautiful towns in the Mediterranean. Steeped in stunning architecture, the city boasts spectacular churches, monasteries and museums. At the southern terminus of the Adriatic Sea, your Mediterranean Cruise will enter into the Ionian Sea as you approach the harbor to Corfu, the largest island in the Ionian group. With its long sandy beaches and lush greenery, the city is one of Greece’s prettiest towns. There are numerous Byzantine churches and Venetian fortresses spread throughout the island. As your Mediterranean Cruise ship leaves the Ionian Sea, and enters the Aegean, history buffs will marvel at the opportunities that await them in Athens. Home to the ancient centers of Greek culture, the Parthenon sits atop the Acropolis, overlooking the entire city. Walk in the steps of Homer and Plato as you view old senate ruins. And make time to settle in for lunch at a Greek tavern for some flaming cheese. Your Mediterranean Cruise now heads further into the Aegean toward the fabled Greek Isles of Mykonos with its picturesque landscape of white washed houses and blue domed churches and magnificent sandy beaches. Climb the city cliffs of Santorini overlooking the submerged volcano and don’t miss a spectacular sunset from Oia. Now turn your thoughts further east as your Mediterranean Cruise sets course for the Crimea as you pass through the Dardanelles to the intriguing city of Istanbul, sitting at the entrance of the Bosporus Straits. A city of 13 million people, it obviously cannot be seen in a day, but with a one or two day layover, you can accomplish some memorable sightseeing. The Grand Bazaar is the oldest covered market in the world and provides a day of adventure in and of itself. Every shop is unique with many hidden treasures (you can find Ottoman relics tucked away in corners being sold for nothing if you look hard enough.) Brush up on your bargaining skills though, and don’t be surprised if the shopkeeper offers you a cup of tea. Your Mediterranean Cruise can take you to Haifa, Israel where you can arrange land tours to the holy cities of Jerusalem and Bethlehem. From there, you can travel back to one of the terminus ports for you trip home, knowing that you have witnessed some of the most magnificent sights in the entire world, both old and new, and be rest assured that your next Mediterranean Cruise segment will be better than the last.